Dental Photography courses are well planned for dentists and dental personnel. We not only train the dentists but also allied dental professionals. The main aim of our dental photography courses and workshops is to make documentation easy and fun. We HIGHLY recommend that our participants get their own camera if they have one. DSLR cameras of any make are ideal for the same. In case if a participant does not have a DSLR camera we shall try to arrange for the same provided we are intimated well in advance. You may contact us on the below number for the same. 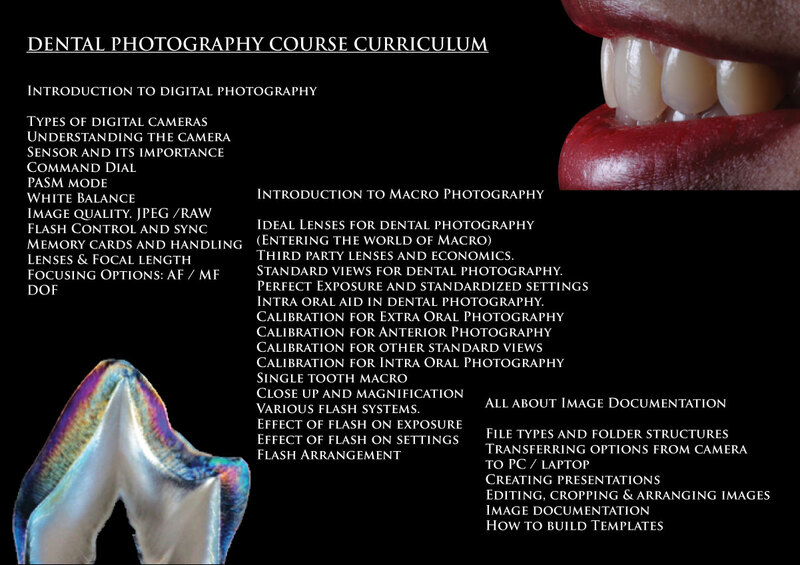 Following is a list of our upcoming dental photography courses and workshops. To Register call us on +919920420317. Exercises structured to make you Photo-Pro in documentation and publication. Two live case photography sessions. One beachside photography session.